No traveler to Canada wants to deal with hassles at the border, so it's important to be properly informed with essential information before arriving in the Great White Way. Here are answers to some of the most common questions visitors have about crossing the Canada border. The short answer is, yes -- everyone from every country needs a passport when arriving in Canada by boat, plane or land. 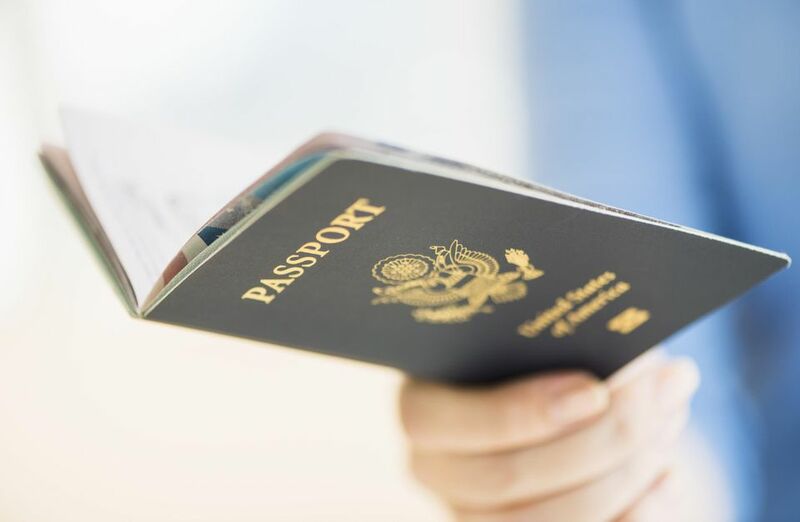 Some exceptions apply to children crossing the border with an adult and to those visitors who have a passport equivalent instead of a passport, like a NEXUS Card. Most visitors to Canada don't have to get visas before arriving. For example, people from countries including the United States, Japan, Australia, Italy, Switzerland, France, Germany, Ireland -- to name but a few -- do not need a visa; however, citizens from certain countries do require either a transit visa, a temporary resident visa or a Parent and Grandparent Super Visa to visit or transit Canada. The amount of time that you may stay in Canada depends on the purpose and length of your visit and your country of citizenship. Visitors from certain countries will require a visa and their passports will be stamped upon arrival indicating how long they may stay in Canada. Otherwise, you may stay in Canada for up to 6 months. If you intend to come to Canada to work, you may need to apply for a work visa. If you plan to attend school in Canada, you may need a study permit, and/or a temporary resident visa, though not everyone must have these documents. Yes, certain types of guns are allowed into Canada; however, visitors must declare at the Canadian border that they are bringing firearms into Canada and have the proper licensing (a hunting license is not the same as a firearm license). One firearm licensing option is the 5-year Possession and Acquisition Licence (PAL). PAL holders need only declare verbally at the border that they possess firearms. Firearms and weapons fall into three categories: non-restricted, restricted and prohibited. Additional forms may be required depending on the firearm/weapon category. Visitors to Canada intending to hunt require a hunting license from each province or territory you plan to hunt in. For more details, visit the Canada Border Services Agency. Dogs and cats that are at least three months old need signed and dated certificates from a veterinarian verifying that they have been vaccinated against rabies within the last three years. The certificate must clearly identify the animal. If your dogs or cats are less than three months old, you do not need a certificate of rabies vaccination to enter Canada. Animals must be in good health when they arrive. What If I Have a DUI? If you have been convicted of a DUI (driving under the influence of alcohol or another drug), you may not be able to enter Canada. You may apply to be considered "rehabilitated", depending on how much time has passed since your conviction, the seriousness of your conviction, and your behavior since. Rehabilitation applications can take up to a year and have a non-refundable fee of at least $200 and up to $1,000 (as of 2016). You may be offered a Temporary Resident Visa, depending on your reasons for visiting and you are deemed to be no risk as a visitor. You may cross simply because your particular border agent has not detected your conviction or for whatever reason -- like more than 5 years have passed since the conviction -- chooses to ignore it. What Are the Wait Times at the Border? With more than 33 million vehicles crossing the Canada/U.S. border every year, the crossings can get congested. Some generalities apply to all Canada border crossings, like weekends are busier than weekdays and there is a 7 am to 9 am and a 4 pm to 7 pm rush time. The best advice though is to research the border crossing you should cross at and then check wait times online or on the radio. In addition, this handy Border Traffic Calendar offers information on events like road races, holidays and other events that affect border traffic. If you have a NEXUS Card, you may choose a border crossing that offers a NEXUS lane and thereby avoid lineups. Who Needs a Transit Visa for Canada?